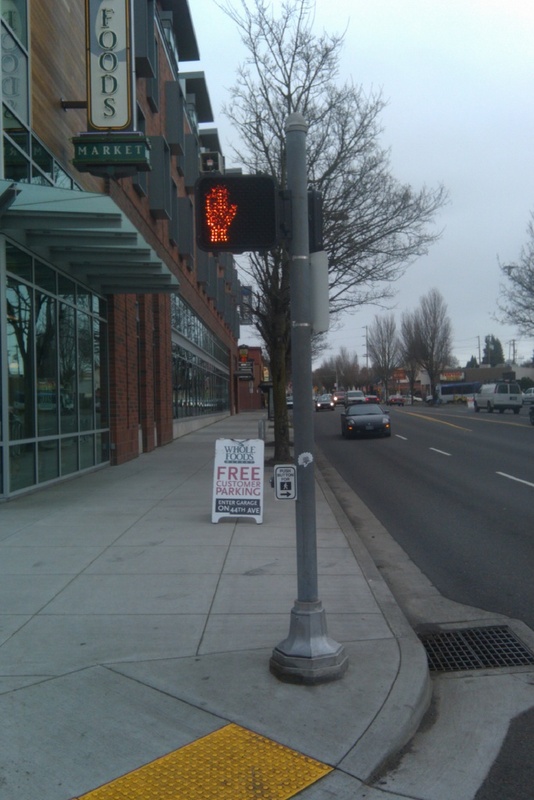 Why don't pedestrian push buttons record how long you have waited? The answer: The engineers haven't set them up to do so. This past week, we had a visit from a vendor, Campbell Company that has an advanced pedestrian push button that puts a lot more intelligence in the traffic controller cabinet. I think historically the traffic engineering profession has been hesitant to do things like this because of the maintenance requirements, but the device Campbell had and our modern traffic signal controller provides a wide variety of logs that the user can use to determine how well the signal is working for the people that are trying to cross the street. The City of Portland has been measuring delays for pedestrians for almost a year now after developing some basic logic statements in the traffic signal controllers that uses what is already there to produce information we can use. The new push button from Campbell Company seems like a logical next step if they build in the requisite intelligence to make this a reality on more than one level. Here's some text from the report that was written by intern and PSU PhD candidate Sirisha Kothuri (my editorial in italics, emphasis in bold): Along major arterial corridors, (traditional thinking was that) efficient signal timing is geared towards vehicle throughput. Signals along corridors are often coordinated to allow for progression (from one to another on the busier street) and minimize stops and delay for vehicles. While the benefits of signal coordination are accrued by vehicles, pedestrians may be disadvantaged due to higher wait times. The costs and benefits of removing a signal from coordination should be considered and impacts on all users evaluated. Here's the link to the paper and the presentation that can also be found online. Now what if the signals could tell us exactly when they are going green? 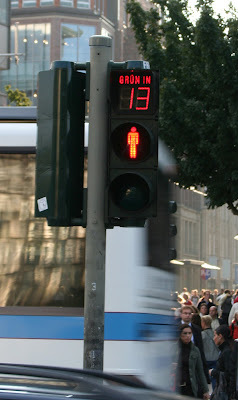 Would that reduce people crossing against the signal? The do this currently in Europe. What about the costs of increased pollution caused by increased vehicle delay? How is that factored? Carefully. At 3 AM, it really isnt much of a concern. The pedestrian may be the only one there. If we have detection on the street we can figure that out rather than just thinking we are doing our best by needlessly delaying those that want to cross the street. Even those that are driving. The people may be the only one there. If we have recognition on the road we can determine that out rather than just considering we are doing our best by unnecessarily postponing those that want to combination the road. Even those that are generating.